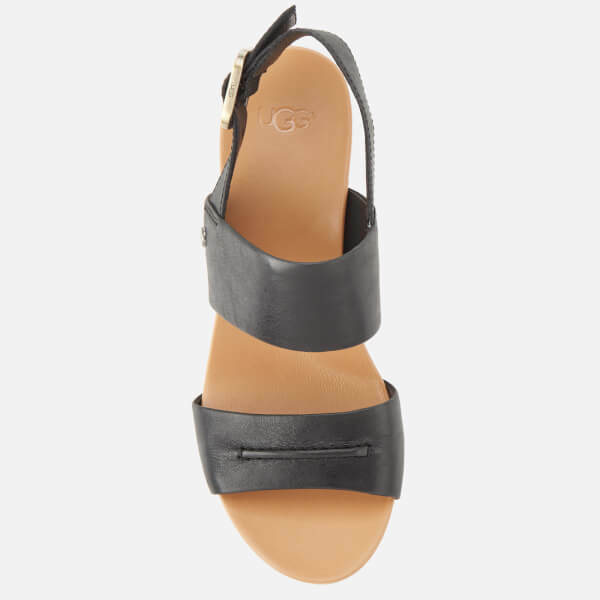 Women’s wedged sandals from UGG with double strap design and open toe and heel construction. 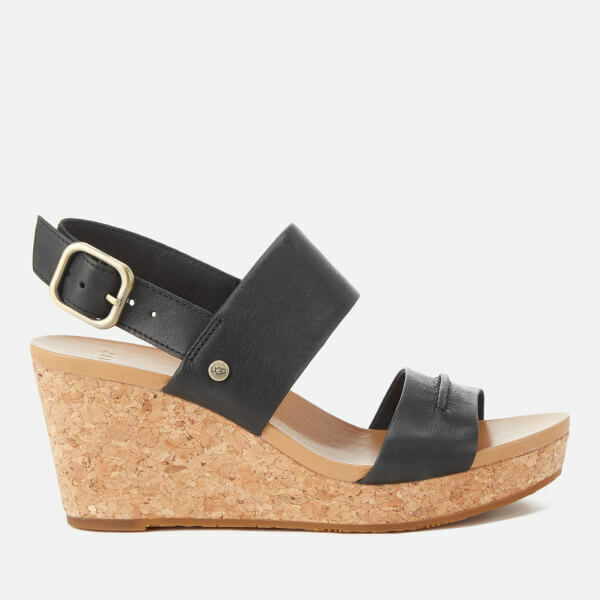 Crafted from smooth leather uppers, the ‘Elena II’ sandals feature a thick toe strap and a buckled ankle fastening. 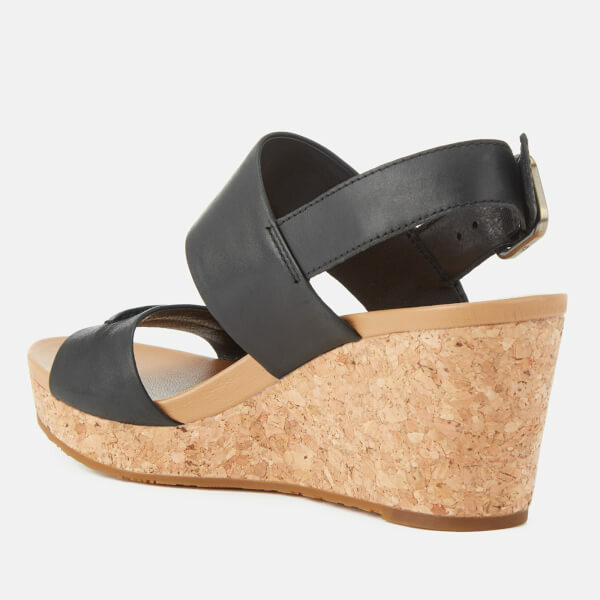 Set on a cork midsole with a rubber overlay for grip and traction, the sandals are detailed with a cushioned footbed. Complete with a branded metal plate appliquéd to the outer quarter. Upper/Lining: Leather. Midsole: Cork. Outsole: Rubber.